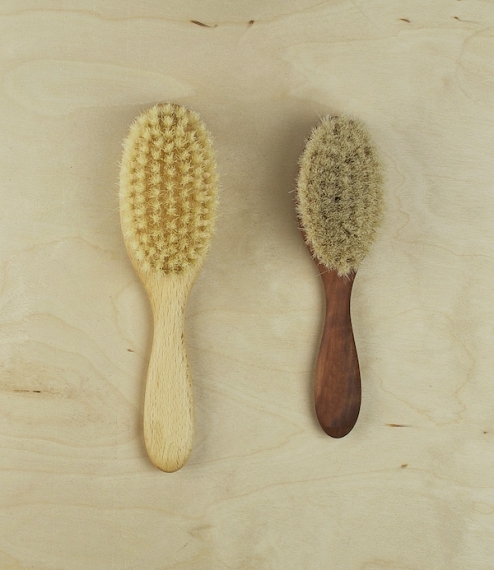 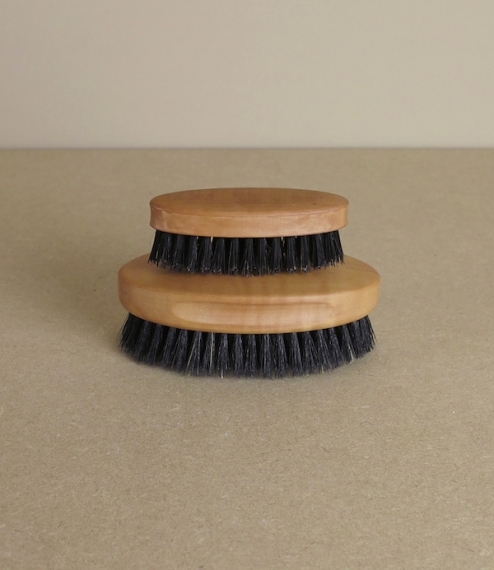 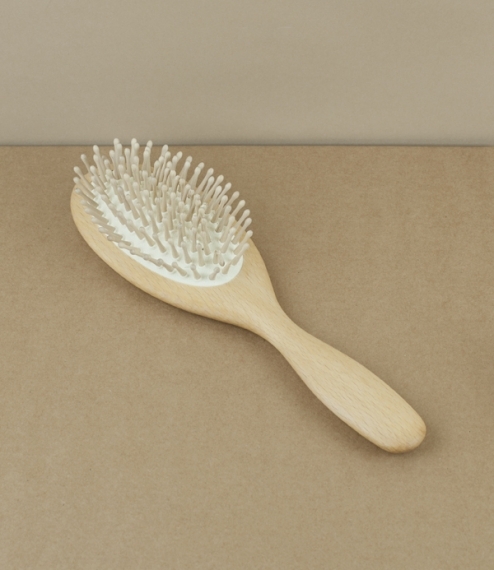 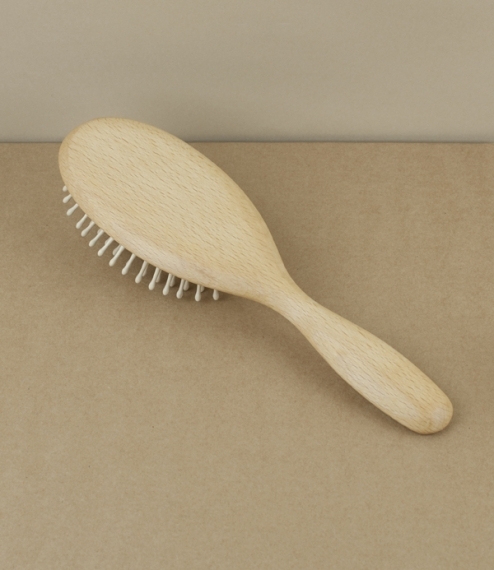 A waxed beech handled hairbrush set with a flexible natural rubber pad mounted with nine rows of rounded tipped turned hornbeam pins. 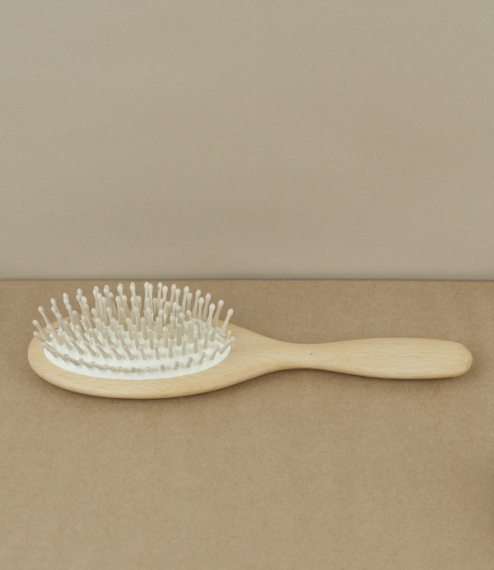 Ideal for teasing out longer curly or wavy hair prone to frizz and tangle. 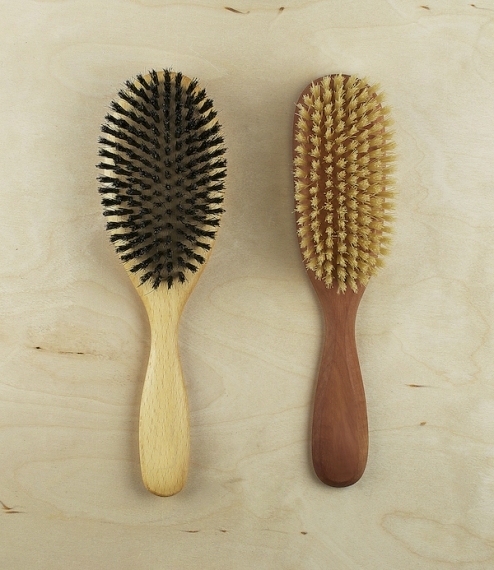 From the workshops of the Redecker company, who since their founding by Friedrich Redecker in the 1930s have specialised in the production of unusual and high quality brushes, made using traditional techniques and largely natural materials. 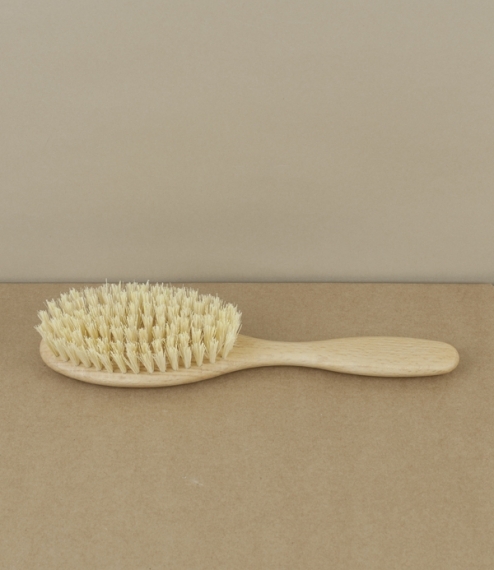 Total length about 23cm.